The Midwest is booming, but not where you might think. Kansas City, Minneapolis, Indianapolis, Columbus, Grand Rapids, and Des Moines are the fastest-growing cities in the Midwest—lapping bigger hubs like Detroit, Cleveland, Buffalo, Pittsburgh, St. Louis, and even Chicago that are still suffering from stagnant economies and slow or even negative population growth. America’s high-priced “superstar” cities are not about to be supplanted soon by Midwestern comeback towns. But the demographic evidence provides ample proof of shifting momentum since 2010. New York City’s population growth, impressive earlier in this decade, now ranks among the lowest in the nation. Brooklyn, the reinvented hipster capital, last year suffered its first population decline since 2006. The same can be said of Los Angeles, San Francisco, Boston, Chicago. None grew faster than 0.6 percent last year, the national growth rate for the 107 largest metro areas, are often by a wide margin. 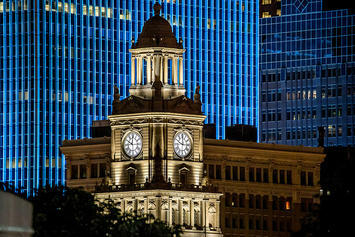 The burgeoning populations in places like Des Moines, which grew by 1.76 percent last year, is being driven by domestic out-migration from the superstar cities. In 2017, nearly three times as many domestic migrants escaped New York as in 2011. Chicago, Los Angeles, and even San Francisco and San Jose also have experienced sharp rises in domestic out-migration. The biggest percentage declines were found in Los Angeles, Chicago, New York and, remarkably, San Jose, which was worst among the 53 metropolitan areas with a population of more than 1 million. Even the “boomtown” San Francisco metropolitan area, which had been attracting domestic migrants from 2010 through 2015, last year experienced a considerably higher rate of out-migration than even Rust Belt hard cases like Detroit, Buffalo, or Cleveland. The coasts’ loss ended up, to some extent, as Indianapolis, Minneapolis, Des Moines, and Columbus’ gains, reflecting a growing flight from what are increasingly gated cities, affordable only to the affluent, the subsidized (students), and those older residents who bought when the buying was good. High housing costs—sometimes three times higher adjusted for income compared to the rising Midwest cities—make attaining homeownership all but impossible. Once people get to the age that most want to settle down and start a family, they see buying a home as impossible, unless of course you can cash out of an expensive startup, have wealthy parents, or maybe robbed a bank. This pattern could well accelerate with the aging of millennials. For decades, urban mythologists claimed these young people would be irrevocably attracted to big, dense coastal cities. This has changed as millennials flee expensive coastal cities looking for affordable single-family homes, much like their parents did before them. The Sun Belt cities have been the most conspicuous beneficiaries, but the Midwest is thriving, too. Since 2010, notes demographer Wendell Cox, Indianapolis, Des Moines, Kansas City, and Columbus have all enjoyed higher rates of millennial population growth than New York, Chicago, Boston, San Jose, San Francisco, or Los Angeles. That’s understandable, what with how at current savings rates the average millennial would need about 28 years to save enough for a 20 percent down payment on a median-priced house in the San Francisco area, compared to nine years in Minneapolis and less than three in Kansas City, according to a study by Apartment List. This is surely a big reason why a recent Urban Land Institute survey found that 74 percent of Bay Area millennials are considering a move out of the region in the next five years (PDF). Similarly, a UCLA study found younger people are the most dissatisfied with Southern California’s opportunities and high costs. Increasingly, for many millennials, the Midwest comeback cities, albeit perhaps less glamorous, seem places where aspirations can meet reality. Dating back to the end of the last millennia, much growth in high-end jobs took place in a handful of big coastal metros. Some pundits traced this expansion to such things as culture, density, and even the presence of rapid transit systems. The thesis was somewhat accurate, until it wasn’t. The fastest growth in business and professional services, the largest generator of high-wage employment, has been shifting to Sun Belt cities for years, and now is also moving to Midwestern comeback towns. Over the past three years, for example, Kansas City expanded its business service employment by 15.7 percent, faster than San Francisco or New York, three times faster than Los Angeles, and six times Chicago. Des Moines and Indianapolis also grew faster than New York, L.A., or Chicago. The shift in tech-related jobs is perhaps even more surprising, though the preponderance of the highest-paid positions remain in the familiar hubs. Outside the Bay Area, the fastest STEM (science, technology, engineering, and mathematics related) job growth is now taking place in southern cities like Charlotte, Raleigh, Austin, and Nashville and in the resurgent Midwest, where Indianapolis saw its tech sector swell by 68 percent over the past decade—faster than high-fliers Seattle, Denver, Boston, and New York. Kansas City and Grand Rapids also enjoyed faster STEM growth than those cities, as well as New York, Chicago, Los Angeles, and San Diego. Last August, Apple announced plans to open its newest data center in metro Des Moines, investing $1.3 billion in the area. Although perhaps unlikely to win the prize, two of the comeback cities—Indianapolis and Columbus—made the cut for Amazon’s 20 finalists for a second headquarters (Richard Florida and I collaborated on Kansas City’s failed bid). The STEM recovery in the traditionally engineering-rich Midwest could just be starting. In the early part of the decade, notes a 2016 Brookings study, software focused on search, social media, and systems design; now, much of the impetus is coming from manufacturing-related industries, such as autos and industrial products, which may help explain the strong growth experienced by places like Grand Rapids. The Midwestern resurgence, already underway, may pick up speed thanks to Donald Trump, who’s president thanks to his surprisingly strong showing in the region. Trump has identified two sectors—manufacturing and energy—for de-regulation and support. Despite predictably dour accounts in the anti-Trump press about the impact of his trade policies on industrial growth, the evidence shows strong growth in manufacturing jobs on his watch so far, following a lull at the end of the Obama era. Similarly the unleashing of the energy industry has benefited not just Texas, but shale-driven economies in places like Ohio, which is emerging as a major oil and gas producer. It would be wonderful if this resurgence covered the entire Midwest, restoring the regions standing a century ago, when, as author Jon Lauck writes, “the Midwest stood tall as the republic’s ascendant and triumphant region.” Yet today many of the premier Midwest industrial hotbeds have not yet recovered their dynamism. Almost all the comeback Midwestern cities were never strictly manufacturing burgs, but rather state capitals, university towns, and trade and distribution centers. Places like Kansas City, Columbus, and Des Moines may have been hit hard by de-industrialization but not as thoroughly as places like Detroit, Cleveland, and even Pittsburgh. The once great manufacturing cities still suffer from low job creation rates, and dismal demographics. Unlike the comeback towns, the old industrial capitals still suffer from net domestic out-migration and continue to lose millennials. Even the industrial expansion—now in its seventh year and accelerating—has not done enough to turn things around. Since 2014, industrial growth and the revival of the auto industry have boosted Midwestern cities such as Warren, Michigan; Grand Rapids; Des Moines; Indianapolis; and Kansas City far more than Detroit. Cleveland, Buffalo, and Pittsburgh all continue to lose industrial jobs. The old industrial towns are still saddled with deep-seated social problems. Starting in the 1920s, people from the Deep South migrated to Detroit and Cleveland in huge numbers to take advantage of opportunities. These people were largely left behind when the industrial economy shrank, and have suffered generations of poverty. Cities like Detroit, Milwaukee, and Cleveland remain among the nation’s poorest. Detroit, St. Louis, and Cleveland remain saddled with persistently high crime rates. These present huge barriers to any immediate resurgence. Yet these cities do maintain some potential for rebirth. Places like St. Louis, Detroit, and Cleveland still retain the architectural residue that makes for vibrant downtowns; in fact, all three central districts have experienced some revival in recent years. Legacy institutions such as Carnegie Mellon in Pittsburgh, the Cleveland Clinic, and Washington University’s sprawling medical center in St. Louis could provide linchpins for future growth. Detroit’s central role in the auto industry could be bolstered by technology involved in creating autonomous and electric vehicles. These cities are still down, but they are far from out. Meanwhile, the resurgence already under way in many parts of the Midwest creates new frontiers for urban growth and personal aspiration. The region’s opportunities stand in marked contrast to the kind of big-city coastal clustering advocated by many pundits—most of them living in these same cities that offer only the prospect of ever greater class division and stunted opportunity. Very few newcomers can hope to buy a house, or start a business in Manhattan. Photo: Phil Roeder, via Flickr, CC License.